How to click button and open another View? Hi. Noob here. My experience 100% on iOS (XCode) objC only. beyond helloworld but not too complicated. I am following Xamarin MVVMCross tutorial in youtube and on the iOS app portion. and upon clicking it opens another Page? Any guide or sample code is much appreciated. First question: If you're new to it what made you decide to add MVVMCross? What was lacking in the built-in MVVM support that made you feel you needed a 3rd party package? Don't. Please don't use that old .Click crap. That's carry over to ease the transition from WinForms to WPF. But it really shouldn't be used in modern XAML/WPF/Xamarin. Assign a Command in accordance with good, modern XAML/MVVM principals. Honestly - if you're this new to XAML/MVVM concepts and are still working on the basics I would suggest taking out MVVMCross. You just don't need to complicate your life by trying to add stuff you don't have a need for. Creating mobile apps in Xamarin - Free ebook download - the de facto textbook for Xamarin. 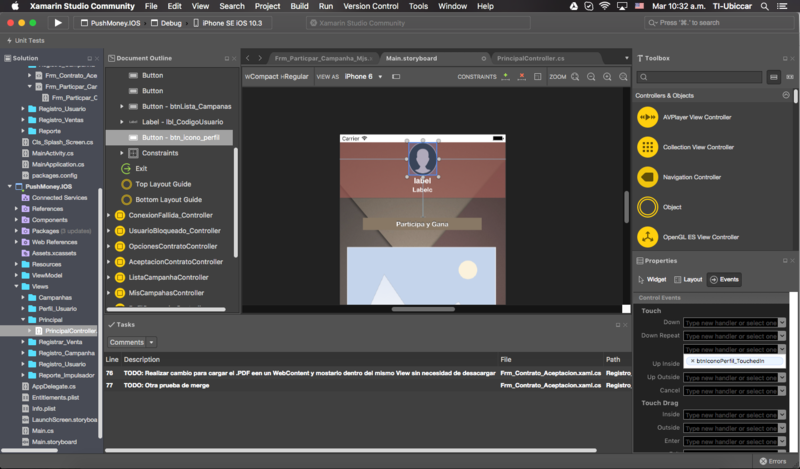 You should probably give serious consideration to Xamarin University. Its a flat rate for taking all of their courses. From intro to C# to advanced memory management in Android, to network administration. Its not free, but it is a really good value for the volume of education you get out of it. You can try to source out 30 different free YouTube videos and websites or you can take a cohesive guided course that will teach you more, better and faster. Its your education toward your career aspirations: You get what you pay for. Hm... quite a different response from xamarin forums compared to XCode forums. I'll keep that in mind. Have a nice day.